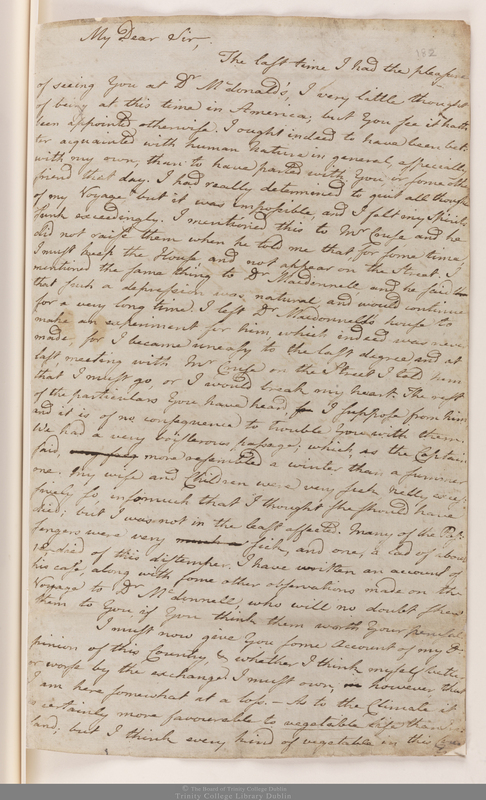 p. 185 ‘I was resolved to make a voyage’… It should go without saying that this whole section is a fabrication. Ben Crowninshield Jr only ever made one voyage, to my knowledge, and that was on the notorious ‘Cleopatra’s Barge’ (see Cleopatra’s Barge – The Crowninshield Story by David L Fergusson, Toronto, 1976; also Wiki ). Even that he abandoned at Gibraltar, eventually making his way back to Salem via Pernambuco, apparently trading flour on the way (according to the Crowninshield papers in the Peabody Library, Peabody MA). ‘Hannah’s sudden and premature death’…; Ben’s sister Hannah, wife of Capt John Armstrong US Navy, died on 11th May, 1834, aged 45. despite her being recognised as among the first notable American female artists, I have been unable to establish a cause of her death. ‘so soon after Jean’s’…; Jean Aitkenhead/Tytler died in the Alsmhouse on Salem Neck in January 1834. ‘my father’s deteriorating health’… There is no evidence that Ben Corwninshield Sr. suffered the illness described here. However, no record of his death gives a cause. The conjecture I have made is based on evidence contained only in one unlikely place; his Masonic Membership Card. 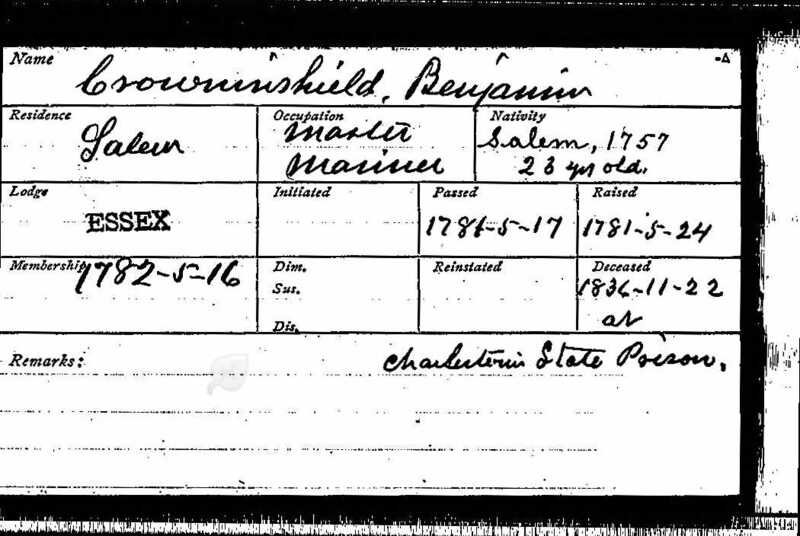 There it is recorded that he died in Charlestown Prison. I have assumed that he was being held in secure accommodation there since there was no other available in the area. There is no evidence to be found that he was there as the result of a criminal conviction. 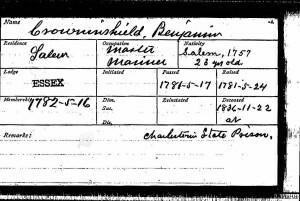 p. 186 ‘At my desk in the Naval yard’; most of Ben’s working life seems to have been spent as a clerk in the Naval Yard in Charlestown, according to the street directories. ‘The United Irishmen…’; this is not the place to attempt to document the history of the organisation. The existence of spies, however is well documented in the ‘Rebellion Papers’ now inthe Library of Trinity College, Dublin. For the information in the rest of this chapter I have drawn on references ot those papers contained in Ireland and Scotland in the Age of Reason, (McFarland, E. W., EUP, 1994) plus two works on Tom Russell: Thomas Russell and Belfast (Clifford, B., Belfast, 1988) and Soul on Fire – A Life of Thomas Russell, (Quinn, J., Dublin, 2002), together with Russell’s own jouranls and Memoris, published as Journals and memoirs of Thomas Russell (Woods, C. J., Ed., belfsat, 1991). The story of Thomas Muir’s transportation to Botany Bay has a strange connection with Tytler’s, since it has been suggested that Muir’s eventual rescue, after a year or two’s stay on the small farm he purchased when he arrived (he took two servants with him, one female), is rumoured to have been organised in Salem or Boston after an article Tytler is said to have published there about Muir’s trial. I have been unable to trace such an article, but the general story of Muir’s rescue may not be as dubious as has been argued. For an introduction to Thomas Muir see the Wiki page. p. 188 ‘They confined your man to the house he was staying in…’; this and the following information is taken from a letter that Tytler wrote to Russell soon after arriving in Salem. 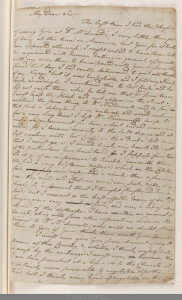 It is now among Russell’s papers in Trinity College, who kindly provided a photo-copy, This letter is unique in being an extended example of Tyler’s writin in his own hand; only scraps survive elsewhere. It’s opening section throws new light on the circumastances under which Tytler eventually left Ireland, circumstances which are outlined in these paragraphs. ‘Tytler’s response to Paine’s The Age of Reason…’; in this work, written in Ireland, possibly with Russell’s help, and published in 1795, Tytler takes Paine’s diatribe against Christianity apart paragraph by paragraph, producing what he proposes are irrefutable arguments against Paine’s ‘reason’.